Welcome, to the Douglasville Welcome Center! I am sure a lot of you have been to downtown Douglasville countless times, especially the area around O’Neal Plaza. Perhaps for an event for just on your way to dinner. Have you ever noticed the building with the large, white, marble, column out front? Did you ever wonder what was inside? The answer is the Douglasville Welcome Center. What we hear from people most often, is that they have lived here for many years but have never been inside. A lot of our visitors just want to see what we have inside and find out what exactly it is that we do. 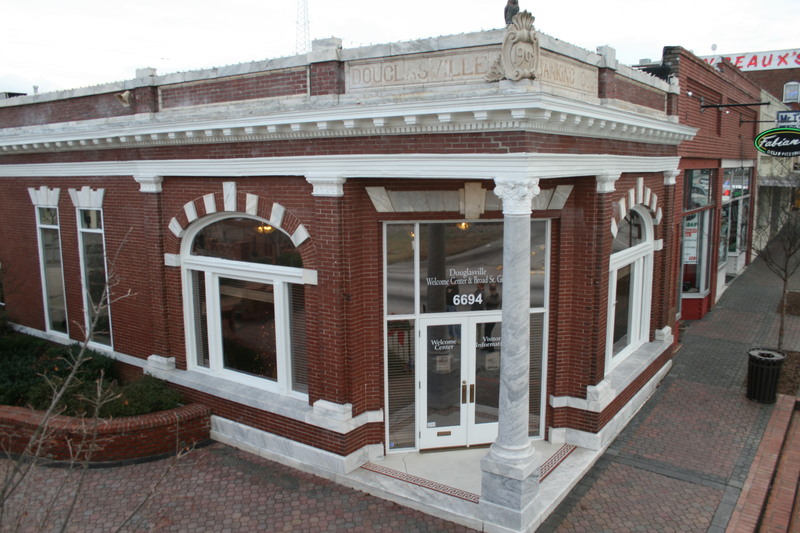 The current location of the Douglasville Welcome Center was originally home to the Douglasville Banking Company. Built in 1904, the building is constructed of Chattanooga pressed brick with marble trimming. The Douglasville Welcome Center opened in this building in 2000 and is stocked with not only local information, including area attractions, hotels and upcoming events; we also offer information about different destinations throughout Georgia. In 2010, the Douglasville Welcome Center was named a Georgia Regional Visitor Information Center by the Georgia Department of Economic Development. This designation provides for state funding when the budget allows. Specific requirements must be met each year which include visitation numbers, educational classes and staffing hours. Painted Lady Soap Products are locally made, here in Douglasville, using essential oils and ingredients! 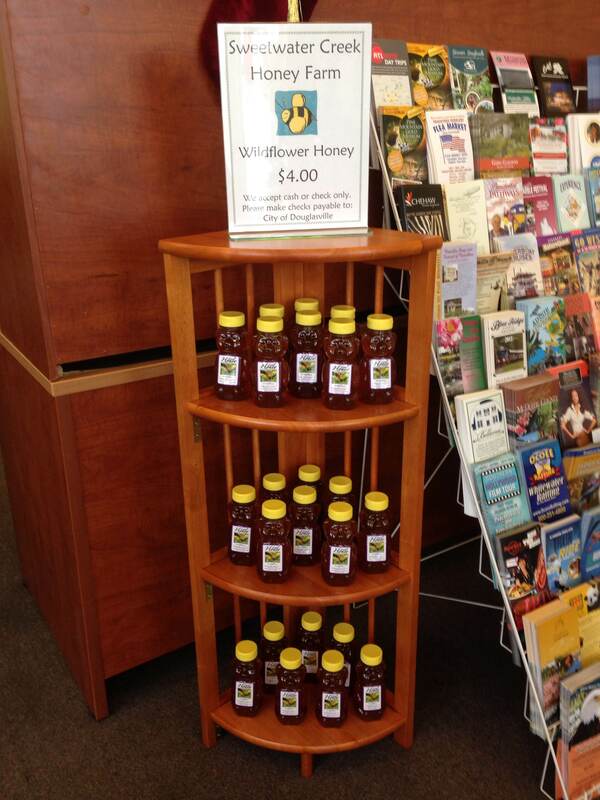 Sweetwater Creek Honey is also locally made in their bee yard here, in Douglas County! Questions? Give us a call at 770.947.5920!